Is your agent sending the right message about your property? We all know that people only get one chance to make a first impression. The same is true when you put your home on the market. You need an agent who knows what that means and how to use that to promote your property to its best advantage. Without the right image, you could end up with the message that your property isn’t worth much. At Luckey and Associates, we ensure everything we do demonstrates the value of your property. From professional photography to experienced home stagers, we know what it takes to show your home the right way and to ensure a top dollar offer. Most agents ask two questions: how much do you want to sell your home for and when do you want to close. But, it takes more than that to get the best offer for your home. Our approach ensures we get all the necessary facts (including market evaluation) so we can represent your property in the best light. Then we work to negotiate the best buyer’s scenario to meet your goals. Plus, we help you look beyond the sale of your home to ensure you know how a sale will impact your other financial and real estate objectives. 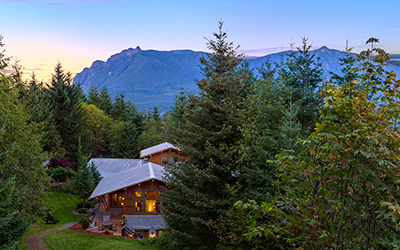 Did you know that nearly 50% of any home’s value is actually based on the land itself? Without that knowledge, the true value of your property could easily be missed. Our expertise and understanding of land and land value ensures the best asking pricing based on the whole property, not just your house. It’s time to work with a real estate company that understand the value of your home. Solution: Focus on highlighting the home’s features through careful staging and quality marketing collateral. Result: Set the asking price higher than anticipated and sold it for that price. Scenario: Selling a house during a tight market. Solution: Develop up to date and in-depth market evaluation before setting asking price. Result: Sold the house at the asking price.